This one is a ShiftShape 10 DAY ONLINE CLEANSE group favourite. I make a batch of this every couple of weeks. 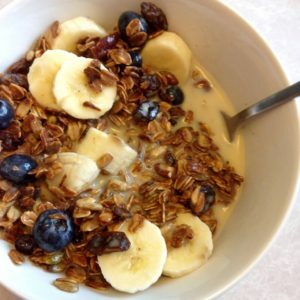 It’s great for breakfast with your choice of milk (I use almond) , or as an after school snack, with some yogurt and fruit. I prefer to use wheat-free oats. It makes this recipe gluten-free. 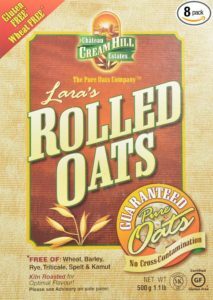 Did you know that oats themselves do not contain gluten, however, they are a grain that is highly susceptible to cross-contamination? So, if you have celiac disease, or are gluten-free, it may be OK to have oats, but make sure that they are clearly marked “wheat-free”. In separate bowl- whisk honey, maple syrup, coconut oil and vanilla. 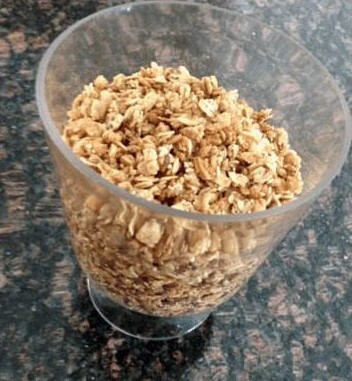 Pour liquid on top of dry ingredients in larger bowl. Mix with hands. Pour onto a cookie sheet in a think layer, spread out. Check frequently as oven temperatures vary. Stir as necessary. 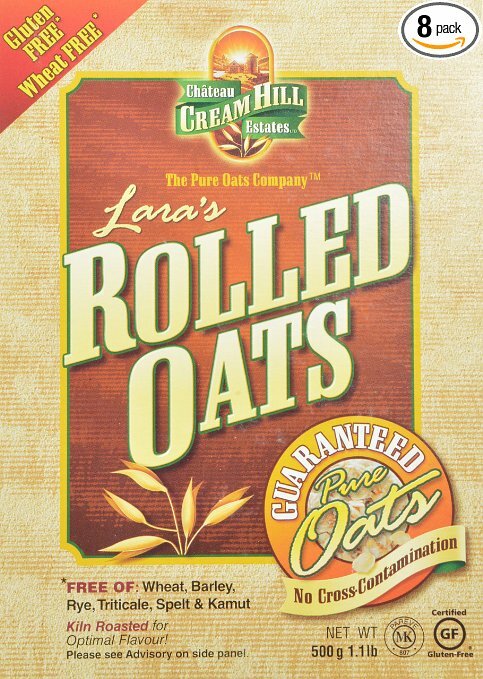 PS – This is what the package for Lara’s Wheat-Free rolled outs looks like. I get mine at Organic Garage.